Kelley Insurance Agency has a wide range of Life Insurance and Annuities products to fit your needs. If you are looking for Whole Life Insurance, Universal Life Insurance, Mortgage Life Insurance, or Term Life Insurance we have it. We also have a large selection of Financial Investment and Retirement Savings to make your future prosperous and secure. PLAN ONE: Provides the home free of debt in the event of the death of the insured and/or spouse. PLAN TWO: Provides the home free of debt in the event of death or will provide funds to pay off the mortgage early plus act as a retirement plan. At Kelley Insurance Agency we know our customers by thier name not thier policy number. We offer over 28 years of insurance experience and service, placing personal lines and commercial accounts of all types and sizes. With access to over 2 dozen insurance companies we can provide the best coverage at the best price available. In most cases we can provide a quote and coverage within 24 hours and in some cases same day binding. 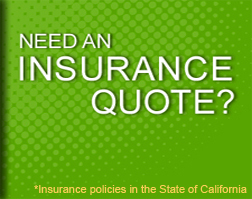 Our agency is licensed, bonded and insured serving all of California. Questions about a home insurance policy?